After graduating from PTS in 2009, Raska and her husband spent a year working with Theological Education Extension in Zambia. After returning to the U.S., they worked on the pastoral staff of Madison Avenue Presbyterian Church in New York City. 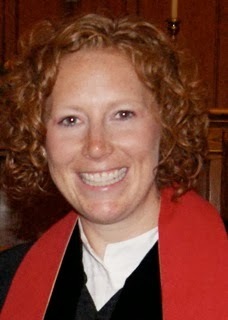 She is currently serving as the associate pastor of the First Presbyterian Church. The connection between Whitworth’s theology department and PTS has always been strong. “Over time, Whitworth has probably been the number-one feeder school for Princeton,” says Whitworth President Emeritus William P. Robinson. Currently, Robinson serves as the PTS board chair. At the moment, PTS is home to a dozen Whitworth alumni, ten who are completing graduate work, and two who are serving as faculty. “Whitworth students arrive at PTS with a solid foundation provided by Whtiworth’s great faculty and warm, vibrant community,” says Robinson. Raska can attest to this, as she once made the move from the Whitworth community to PTS. “My Whitworth education empowered me to think boldly and creatively; challenged yet equipped me to discern how my Christian faith and passions intersected with the world; and equipped me with the confidence, tools and intellect to move forward,” says Raska. The reverse is true also; Whitworth professors of theology James Edwards, ’67, Karen Petersen Finch and Adam Neder—in addition to his obtaining his PhD from Princeton—each received their masters of divinity from PTS.